IT’S that time of the year when Victorian trainer Robbie O’Connell has to recharge his phone several times a day. With his phone all but surgically fixed to his ear, O’Connell works tirelessly to co-ordinate drivers from each state to wear specialised silks to promote prostate cancer awareness. 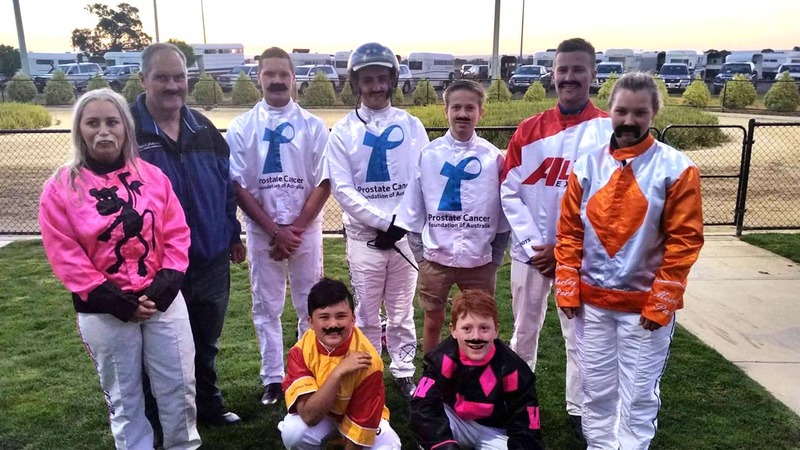 Along with the racing colours, O’Connell also has a squad of reinsmen adopting the Burt Reynolds look as part of Movember. Following discussions with numerous horsemen in 2017, O’Connell was overcome with a desire to raise awareness for the silent killer among Australian men. Claiming almost 10 blokes a day, prostate cancer is the most diagnosed cancer in Aussie fellas. Prostate cancer develops when abnormal cells in the prostate gland grow quicker than in a normal prostate, forming a malignant tumour and is the most common cancer diagnosed in Australia. Yet publicity for the dreaded infliction is close to non-existent. As such, O’Connell called on harness racing to become a leader in raising awareness and much-needed funds for prostate cancer research and treatment last year. O’Connell’s work follows from his running the football and family day for four seasons, which raised more than $84,000 for children’s charities. “Amazingly, Australia’s largest male dominated sports – Cricket, AFL and NRL – don’t even have a designated prostate cancer round,” O’Connell declared. “Yes there is an All Stars night for Aussie Rules, but that was launched by Ted Whitten’s foundation! “The AFL still doesn’t have a round of their actual season dedicated to prostate cancer, but does for almost everything else. “I was shocked to find out how many men in harness racing have been affected by prostate cancer and thought we should do something to get it out there a bit more. 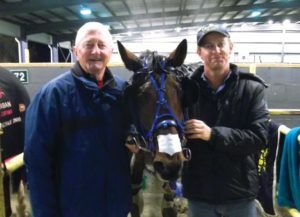 Multiple feature winner Peter Walsh is a trainer who “dodged a bullet”. Preparing for an unrelated operation, Walsh was told by his doctor to report to hospital immediately after blood tests showed some irregularities. Naturally concerned about the diagnosis, Walsh underwent his originally planned surgery and one for his prostate. “I had blood test done for other surgeries, but they showed my levels were extremely high and I was told by my doctor, who came around on a Sunday, to get straight to the hospital,” Walsh said. “They were worried as I was anaemic and losing blood, but weren’t sure where is it going. “I was having an enormous amount of trouble with my prostrate and finally had operation. “I dodged a bullet in the end as it was not cancer and in the end they cleaned it up rather than cut it out. “Guys in general, especially horseman, have a ‘she’ll be right’ attitude, I will get around to that, must look into that one day and by the time they do it could be too late. With ‘Movember’ kicking off yesterday it is fitting the first horse to pull the prostate colours is trained by O’Connell. The silks will be worn by Zac Phillips as he drives the O’Connell prepared debutant Be Who You Are in Shepparton tonight. “His work has been ok, but whether he can start the Movember win tally remains to be seen,” O’Connell said. “With a bit of luck he will take the colours into the winners’ circle.